Throughout the years, Duke Chinese Dance has been home to classes of talented and dedicated dancers. 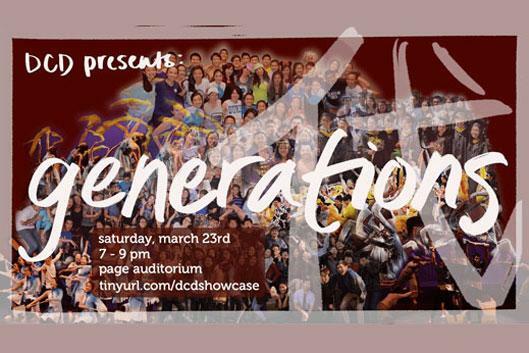 Our 2019 Showcase, Generations, looks to honor those who came before us, and show where we are going now. Please join us in Page Auditorium, on Saturday, March 23rd at 7pm to see how our DCD family has changed and evolved here at Duke! Free admission, no tickets required!